As the BMW F80 M3 has gone out of production last year in some parts of the world, fans of the M badge looking for a car between the M2 and M5 are now left only with the M4 in its Coupe and Convertible guise. The M4 is bound to stay in production until the end of this year so BMW wanted to give it a small refresh. Therefore, the M4 Coupe and Convertible will have new paint finishes available and new leather appointments. The BMW 4 Series will also benefit from these updates as the 4 Series Gran Coupe will get the BMW Individual paint finish Aventurine Red metallic and BMW Individual special paint finish Frozen Dark Grey metallic. 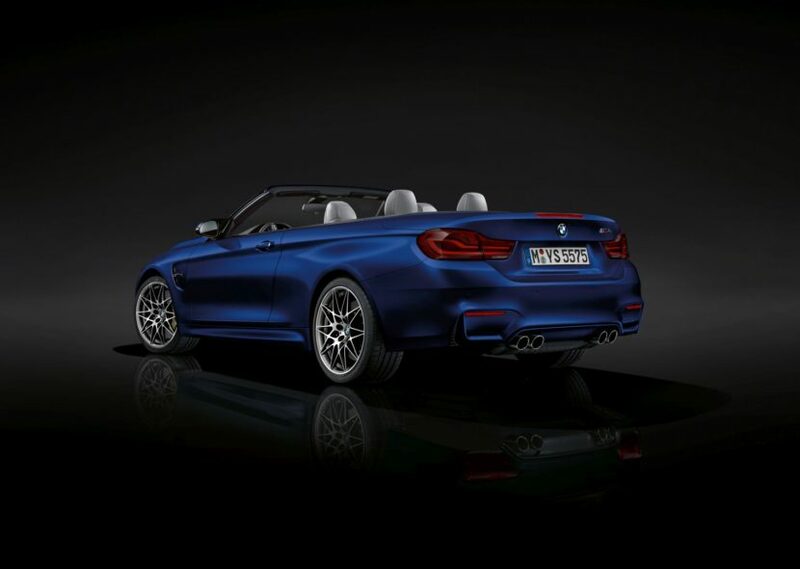 For the Coupe and Convertible models customers now get the Mediterranean Blue Metallic color while other upgrades also include new designs for 18″ wheels which can now be colored in Orbit Grey while the M4 models get new 19″ wheels in a bi-color combo with Jet Black accents. Inside the cabin you’ll find new touches in the shape of the Mocha color shade for the optional Dakota leather trim on Sport Line, Luxury Line and M Sport cars and interior trim strips in Carbon Fiber, which are available in conjunction with M Sport specification. The M Sport and Sport Line variants of the BMW 4 Series will now be fitted with black rear light screens and a BMW kidney grille surround in High-gloss Black as standard. Darkened rear lights are also set to adorn the rear of the BMW M4 Coupe and BMW M4 Convertible. The BMW Individual paint finish Frozen Dark Blue II will be offered as an option for the two high-performance models from March 2019. 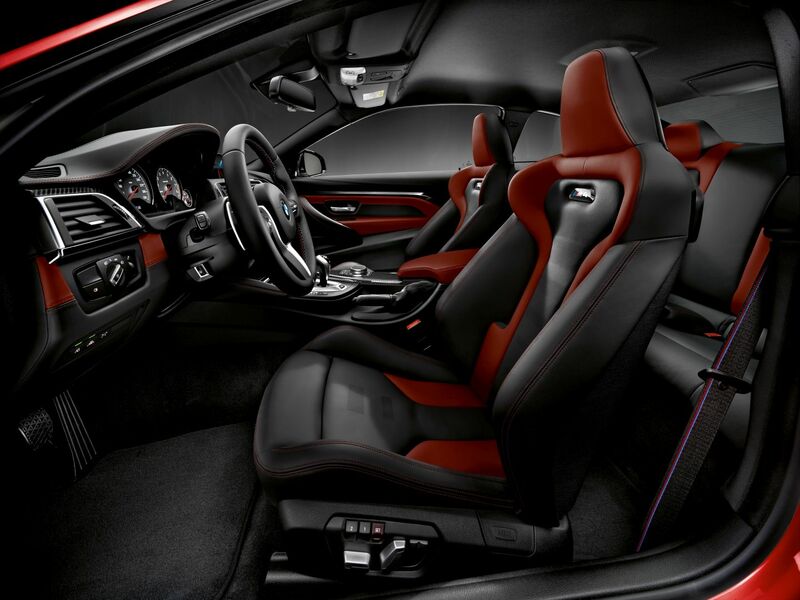 Plus, the BMW M4 Coupe with M Competition package can be ordered with two new bi-colour leather trim options. BMW Individual fine-grain Merino full leather trim is available in the Sakhir Orange/Black and Silverstone/ Black combinations. There will also be a new equipment line offered for the 4 Series range dubbed M Sport Individual. This line will cover all variations of the 4er, and will combine the M Sport design and features with Individual options. 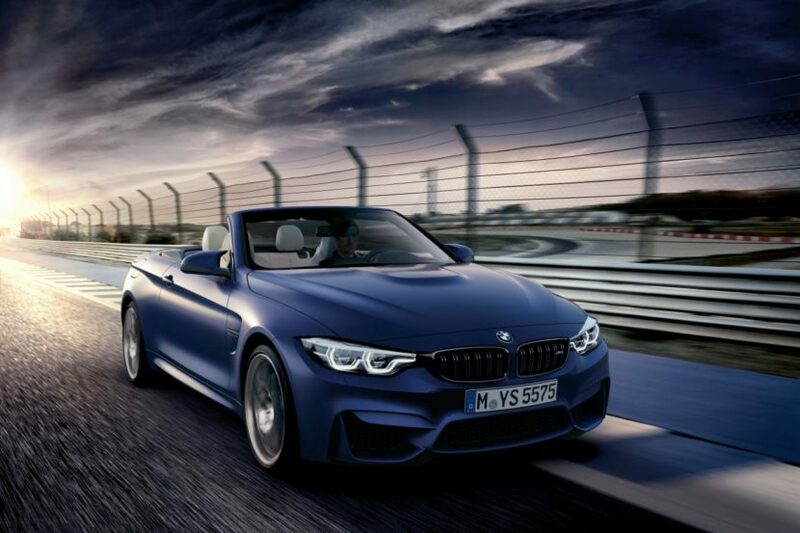 The new equipment line includes the BMW Individual paint finish Tanzanite Blue metallic, an M Aerodynamics package, BMW Individual High-gloss Shadow Line, 19-inch BMW Individual light-alloy wheels in V-spoke design with mixed-size tires, and variable sport steering. Rear-wheel-drive models also get M Sport suspension. For the interior, the M Sport Individual line offers extended leather upholstery Merino in Opal White, heated seats, an M leather steering wheel, the lighting package and BMW Individual interior trim strips in Piano Finish Black. The BMW 4 Series Coupe and BMW 4 Series Gran Coupe add a BMW Individual headliner in Anthracite.